Twin Fish is a brandname of Tableware International Co.,LTd. We are a manufacturer, exporter of tableware for more than 30 years. Our main products include stainless steel flatware, cutlery, kitchen knives, stainless steel dinnerware, barware, and equipments for hotels, restaurants and catering businesses. Our goal is to provide the highest quality products with great designs to our customers. We serve our customers with honesty and sincerity. We welcome everyone to contact us at the following detail. Twin Fish Showroom open Mon-fri 8.00-17.00. 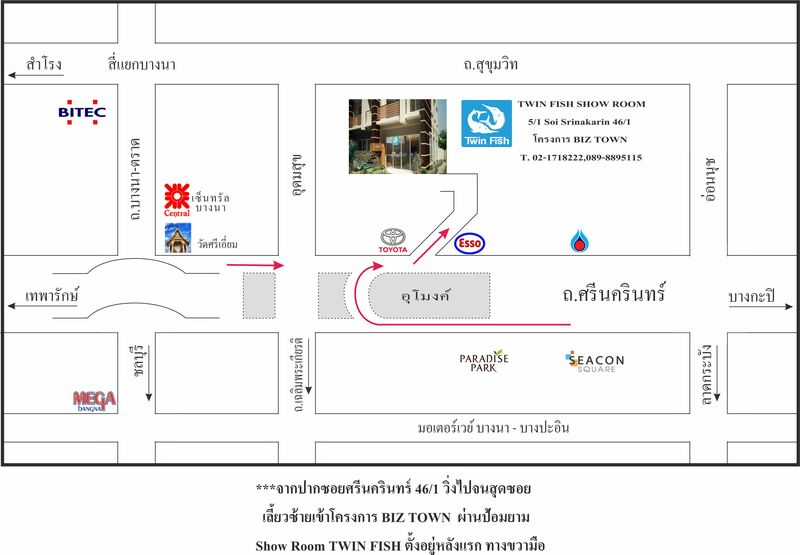 We are located at 5/1 Biz Town Srinakarin 46/1, Srinakarin Road, Pravet, Bangkok Click here to see map of showroom.